STOP Wasting Money On Leadership Development! - Performance Psychology for Leaders. Leadership Coaching. Executive Coaching. Performance Psychology Consulting. Home » PsyPerform - Leadership Coaching » STOP Wasting Money On Leadership Development! STOP Wasting Money On Leadership Development! Comments Off on STOP Wasting Money On Leadership Development! There are multiple interwoven reasons for companies wasting their money on doomed leadership development programmes. Let’s explore just some of the factors that lead to such waste. Almost all companies say that they need better leaders for the future, while at the same time claiming that the leaders of today are just fine. Of course, your “incredibility detector” does a full scale deflection when your hear such comments. If today’s leadership is OK, what can be the basis for claiming that better leaders are needed in the future? Here is the answer: we all say things to make ourselves look good and feel good. We all tell ourselves little lies to make our emotional world a better place. Those well-intentioned lies lead, in part, to huge waste of leadership development budgets. Here is the truth, and some of the other factors. Most companies eventually fail because of poor leadership. Here is a truncated overview of the causal chain, with some hints at the causal factors behind the causal factors. Poor leaders are not in touch with customers. Poor leaders don’t gather information from those who are closest to customers. Poor leaders don’t understand how to get the best from staff. Poor leaders don’t generate or gather the number of new ideas that are necessary to generate continuous improvement. Poor leaders take the biggest risk of all: not taking risks. Poor leaders go into denial when improvements are introduced by competitors. Poor leaders explain away dropping sales figures, increasing customer departures, or anything else that does not fit their distorted view of the world. Poor leaders are so busy protecting the continuity of their salary supply that they fail to protect the continuity of the company. Poor leaders don’t understand the big picture or the chain of events that can lead, in one direction to success, and in the other to complete failure. Are the companies that claim they need better leaders for the future, right? Yes, and they also need them right now, today! If they don’t find them or train them, the companies they (don’t?) lead won’t be around for long. Over the years I have helped many companies that are now thriving, PPP, Argos, BA, Jewson… and tried to help reached out to try to help others that are now gone. For instance, after helping MFI to win the National Training Award in the mid 1990s, I tried to get them to look more deeply at the IKEA threat. They would not even discuss it. They were wedded to their “6 weeks from order to delivery” model. Not listening to the market. Gone. Woolworths would not respond to the information I communicated about the problems (and potential solutions) with their very obviously failing business model. Not listening to the market. Gone. Comet would not engage with me, or any other leading consultant, to address their customer service model, or deal with the threat from on-line competitors. Not listening to the market. Gone. What does the leadership development market want? Before answering that, we need to ask, who is in the leadership development market? People who want to add massive value, people who want to make a positive difference, people who not just embrace change, but want to drive it. People who have high levels of initiative, and, if they are going to be great leaders, low levels of compliance. What do potential leaders want in leadership development? Do they want to given a long list of competencies and measured on how well they jump through the assessment hoops? Again, absolutely not. They want a small number of leadership skills to focus on, and want to learn the practical skills by doing. Pause. Yes, you read correctly, learn by doing. Leadership is a very practical skill; it is not something that can be easily acquired by group discussion or drawing pretty pictures of a few circles. The skills of leadership are best learned by being in leadership situations. Here are some stats: 85% or more of what you learn in a classroom is forgotten by the next day. By contrast, practically learned skills are almost completely retained the next day. Let’s test that observation: when is the last time you had to go on a refresher course to re-learn how to ride a bicycle? Ehm… never! “What’s wrong with that?” you might say. Nothing, except when it is presented as leadership development. It, on its own, most certainly is not leadership development. Yes, it is professional development. At a stretch, it might even qualify as industry specific management development. But leadership development? No. Not even close. Why? Effective leaders harness the talents, knowledge and skills of their teams to deliver results. If a “leader” has more knowledge of the industry than their team, they are probably not leading, they are managing. Effective leaders can lead in areas where they have no knowledge. For instance, I was hired to lead the merger discussions between two boards to create a much larger merged company. I had next to no knowledge of the industries concerned and rather than being a handicap, it was an asset. Why? I was able to lead the processes that would create a successful outcome, and was not in danger of being bogged-down in industry details, that, frankly were secondary, if not tertiary. The merger took place, and made several board members very rich. We all recognise this: we are sent on a training programme, return to work, and several things DON’T take place. One, we don’t transfer what little we can recall from from the classroom learning to the workplace. Two, what we do recall doesn’t seem to fit the workplace (have you ever used the motivational theories you were taught in business school, in the real world?). Three, at no point does anyone have a discussion with us about how we have applied the content of the training programme to our work. And that’s just three of a multitude of other leadership development omissions. Anyone who has been in leadership development for more than five minutes knows that adaptability is one of the key leadership skill-sets. Remind yourself, how long was the course that developed your adaptability skills? Ehm… that would be zero seconds, since it didn’t take place. What chance of effective leadership development when one of the master skills isn’t even addressed? What chance of waste when one of the master skills is ignored? Your belief structure. When in your leadership development did you explore the nature of belief structures and their impact on performance? Again, that would be never. Yet, this is hugely important in enabling staff to perform at their best. How have you seen companies judge whether their various leadership development programmes performed at their best? Ehm… that might not have actually happened. You may never have seen ANY measures. Most companies do not measure the effectiveness of their training interventions. And the few that do, almost never take it to ROI levels of measurement. If there is no measurement you can be very, very sure there is much waste. As soon as companies start measuring ROI in training, its effectiveness improves. The next level of challenge, is that most companies don’t know how to measure training ROI. Some think it is not possible. Others think it is possible but not cost effective to do. Some companies are actively dissuaded from attempting to measure by staff in the training department – for very obvious and self-interested reasons. We have explored just some of the factors that cause companies to waste huge amounts of money on the wrong leadership development. There are many more, and you have certainly seen some of them at work over and over again in your career. If you want to ensure that your leadership development… now wait for the surprise… actually develops leaders, and provides a strong return on investment, then contact PsyPerform. You may be interested to know that PsyPerform works on a guaranteed outcomes basis. That is, in this situation, the leaders that PsyPerform develop either produce better results or there is no fee. When was the last time you heard that offer? Ehh… that would probably be never! What kinds of results does PsyPerform achieve? 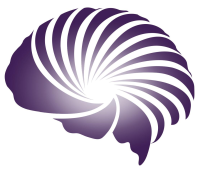 Typically 71% to 86% of the leaders PsyPeform develops are promoted within 12-18 months of starting work with us. Is that the kind of leadership development result you want?